An in-depth look at the inner-workings of the Church of Scientology. you get the picture. just let me repeat, 75 million years ago...Paul Haggis said it like it is, WTF is this? poor Travolta seems to want to get out but apparently can't because of the amount of dirt they have on him, and Tom Cruise...those conventions videos looked like Nazi rallies, really scary. saw it and loved it. also there's a lot more of scientology in The Master than what I thought initially. FYI, if you're curious what it's like being initiated into Scientology these days, check out this series of podcasts (which I don't think is quite done yet). 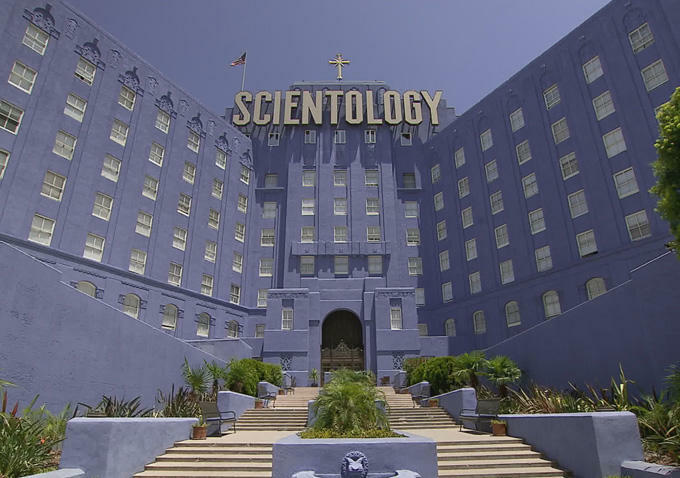 Think of it as a less scary companion piece to Going Clear. You might be surprised by the lighthearted tone, but keep in mind it's nothing new for these guys. (They've tried out several different cults.) Certainly there's a lot of pressure exerted upon new prospects, but Scientology is mostly revealed as a desperate (and somewhat pathetic) organization that is probably hemorrhaging members and not gaining many new ones. It's especially interesting to learn exactly what auditing is like, and how early you're asked to do it. I am not surprised they're having trouble recruiting; I'd be out the door within 5 minutes. If I wanted to do something profoundly dumb and exhausting, I'd watch Sense8. Description of Part 4: The "fun" continues as Ross and Carrie get certified in Dianetics. The pair spend 22 hours at the Church over a single weekend, learning how experiences are encoded in our cells, what an "engram" is, and how to audit your friends for neither fun, nor profit. Plus, find out the secret menu item for Scientologist vegetarians. Good stuff. It's fascinating and scary to watch the evolution of Scientology to what it is today. Also, PTA really did his homework for The Master. Did anybody watch the Leah Remini Scientology TV series? I want to say they even showed a memo from the church regarding The Master briefly while showing shots of various letters and documents. I'm thinking Paul and some of the crew had to be harassed before and after The Master, but I don't remember if anyone ever mentioned it. I saw it and found it more involving than Going Clear, overall. Way more up close and personal. I don't recall anything regarding The Master, though - do you remember which episode? No. I think it was just a shot of the letter, but I don't think they talked about the movie at all. In a montage of various documents. I can't say with a 100% certainty. "Trevor Heasley joined the Church of Scientology two and a half years ago, when a church official offered him a job creating marketing materials for a local org. While searching the internet for Scientology logos, he happened upon a podcast by two people who went undercover in the Church, and eventually got kicked out and unofficially labeled suppressive. Knowing he was defying Church orders, Trevor listened. And not long after, he had left his job and his Church. Trevor joins us to share his momentous story, and bravely disclose what he says he witnessed during his short, but intense, devotion to Scientology."